Is Quality of Life More Important than Life Itself? For decades, HRT aka Hormone Replacement Therapy often referred to the sought out treatments for women suffering from menopause. But the tables have turned, and HRT is now a sought out treatment for men. 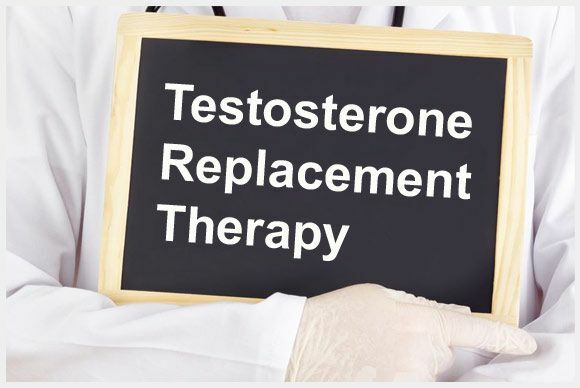 Testosterone Replacement Therapy is the new buzz. TV commercials are brimming with info and men are demanding it. Testosterone can improve the quality of your life beyond sexual performance. It plays a role in metabolism, concentration, mood and even sleep. There have also been studies that have looked at the role of testosterone replacement therapy with advanced heart failure and cardiovascular disease and when done correctly have shown promising and favorable results. Patients have had fewer episodes of heart failure and can walk for longer distances. There are multiple ways to replace testosterone. There are pills and injectables that prompt the body to produce testosterone. There is also topical testosterone in gel or cream form. But TRT demands proper education and careful monitoring. TRT can cause a ripple effect in your body. It can transform into other hormones including estradiol, a form of estrogen and dihydroxy testosterone which have their own bio effects. Elevated estradiol increases the risk of clot formation, though more so from the topical application. TRT can also increase your hemoglobin and hematocrit, so periodically you may need to donate blood. Yes, there is such a thing as too much blood, which can lead to a stroke. Do you believe that to be true?